Description: A free customizable company value stream map template is provided to download and print. 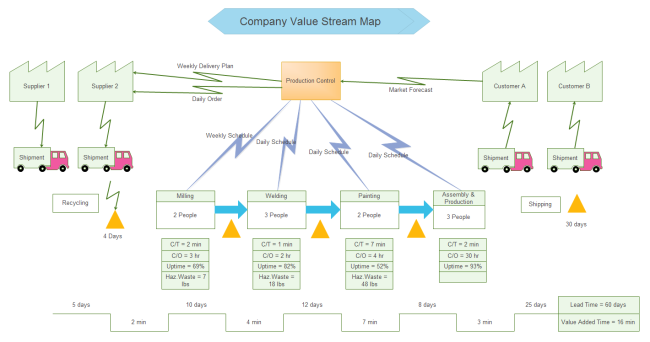 Quickly get a head-start when creating your own company value stream map. Value stream mapping is a visual means to depict and improve the flow of manufacturing and production process, which is commonly applied in six sigma program.